The south-eastern area of Sicily is graced by a mild and pleasant climate, low hills and sunny valleys, together with extraordinary kilometer-long sandy beaches and beautiful historical sites. Crossed by the Greeks, the Romans, the Arabs and other civilizations across the centuries, the whole area is rich in splendid evidence of the invaluable cultural legacy from every population, and is worldwide known as the cradle of the Sicilian baroque. 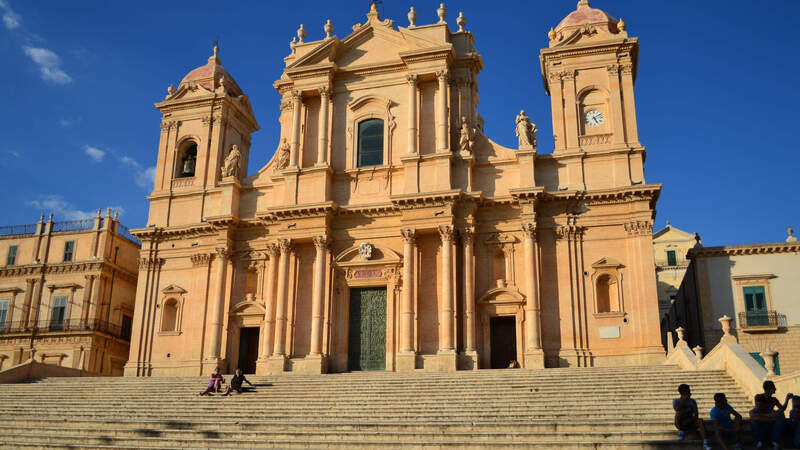 The city of Noto, in the province of Syracuse, is the most famous Baroque destination in Sicily indeed. Its historical centre is a UNESCO World Heritage Site thanks to its breath-taking Baroque buildings, churches and palaces. 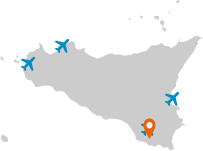 Our villas in Noto and surroundings are the perfect pick for those planning a holiday in Sicily’s Baqroque region. You know there’s something magical about Noto even just approaching the city: the golden-stone cathedral stands out among the roofs of the old town. And as you walk through the streets of the historical centre, surrounded by that unique old-fashioned atmosphere, you can’t prevent your jaw from dropping. The balconies of the amazing “Capital of Baroque” are considered the most beautiful in the world: wrought-iron sinuous lines decorating refined buildings, narrow little roads with pretty boutiques and craftsman shops, flowery courtyards and stunning squares… An enchanting pearl indeed that really has to be discovered, together with the other UNESCO-award winners: the Baroque cities of the whole Noto valley. A devastating earthquake stroke in this area during the late 17th Century; when the restoration time came, plenty of illustrious architects and designers gathered to rebuild the cities that had been wiped out by such a catastrophe. From Ragusa Ibla, perched on a hill in the Hyblaean area, to Modica, where you’ll find the most delicious chocolate you’ll ever taste – from the tiny Scicli with its pretty old-fashioned city centre to Caltagirone, where the most beautiful legendary Sicilian ceramics can be found, all these towns are gifted with the most refined examples of late Baroque architecture. Eight pearls (including Catania, Palazzolo Acreide and Militello in val di Catania as well) that will definitely leave you speechless. Beaches in Noto are particularly fascinating as well: we highly recommend you the Vendicari Nature Reserve, a splendid protected area with unique flora and fauna (such as pink flamingos and other migratory birds) and tropical-style beaches, from Calamosche to Portopalo di Capopassero, the southernmost point of Sicily’s mainland.